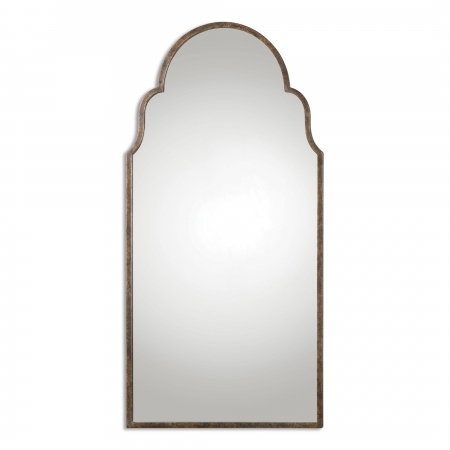 Molded into an elegant shape at the top arch of the piece, the framing around this mirror will make a lovely statement within the room. 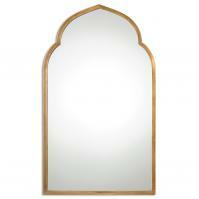 The metal has been hand forged into shape and has a rust bronze finish with light gold leaf undertones. 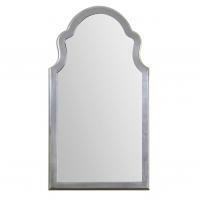 This hue is perfect for the design of the piece and enhances the reflective surface of the mirror itself.